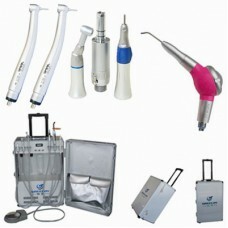 The intraoral camera is not just a diagnostic tool, but it also serves as an educational one too. In the past, dentists have struggled to explain dental decay and other health problems to patients. Most people cannot see well into their own mouths, which leaves dentists to drawing diagrams or using props to attempt to explain what is going on in the mouth of their patients. The intraoral camera enlarges the inside of the teeth to more than 40 times their actual size on a full color screen display. By zooming in on problem areas in affecting the teeth, dentists are capable of seeing much more than they could with the human eye alone. Often, dentists find the beginnings of periodontal disease or tooth decay that would have otherwise gone undetected if examined without the intra-oral camera. One of the primary uses for an intraoral camera is in patient education. Dentists often find it helpful to be able to show patients exactly what is going on inside their mouths, and to highlight areas where medical attention may be needed. Patients are also less likely to defer or refuse procedures when they can clearly see the area at issue, as some people are suspicious of recommendations for dental procedures, due to concerns about cost, potential pain, or the fears about members of the dental profession. In addition to being used in patient education, such cameras can also be used to take clear visual records for patient files, and to generate material which can be used in consultations and discussions with other dental providers. For example, a general dentist might use an intraoral camera to take images of a tooth or area of the jaw which requires oral surgery so that a maxillofacial surgeon can examine the information before he or she meets the patient to get an idea of the kind of surgery which might be required. An intraoral camera is a camera which is designed to be used in the mouth for the purpose of taking video or still photography. These cameras are most commonly used in dental offices, although patients can also use them at home to monitor dental health or to satisfy curiosity about what the inside of the mouth looks like.